Shout out to Deb L for sharing her recipe with me :) You rock! Mix altogether and put in the fridge for the next morning! 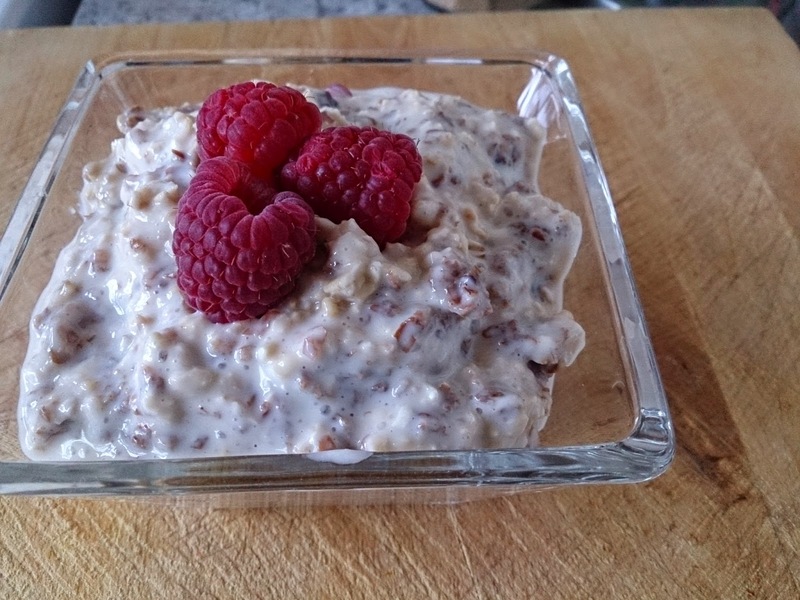 I just made the ezekiel and the oats 1/3 cup just because I'm a big breakfast eater :) Depending upon which yogurt you use you might want a bit of sweetener in it.